Golden Falcon Technical Services Digital Oilfield Solutions offers services to the Upstream industry delivering solutions for the application of model based digital oilfield solutions. Digital Oil Fields in the oil and gas exploration and production industry is a concept that has become a reality during the past decade. Oil fields have become more and more challenging to produce, highlighting the need for top-end surveillance, allocation, optimization and forecasting systems in order to maximize recovery over the full lifespan of the field. Our partners to provide Digital OilField Services is IPCOS. 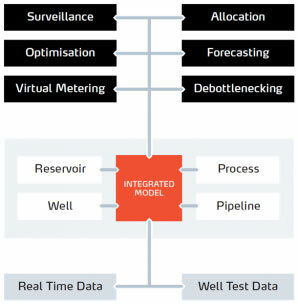 IPCOS has extensive experience with the configuration, deployment and utilization of the most widespread model-based solutions for Digital Oil Fields. IPCOS is technology independent and specializes in customization and integration of technologies selected by our customers. 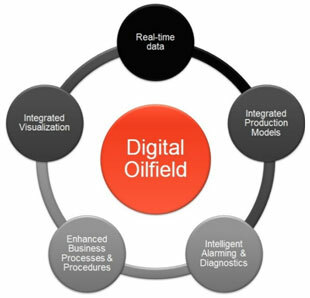 Most Digital Oil Field solutions consist of a combination of modeling, data integration and visualization technologies.